Photograph taken with permission from the official website of Voces Étnicas (Ethnic Voices). Taken from the article “Our world and our words,” by Sergio Abraham Barrera. 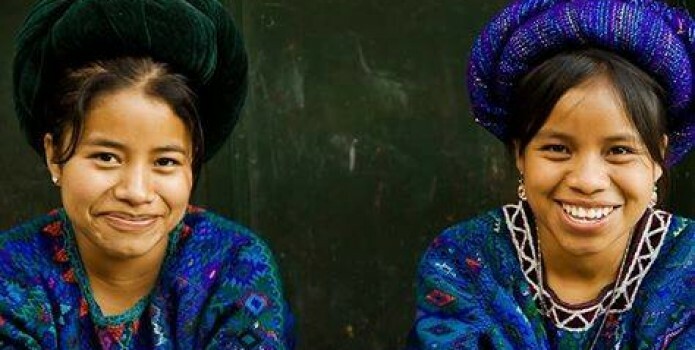 In Mexico, indigenous traditions and customs that are in danger of disappearing have found refuge in the cultural association Voces Étnicas (Ethnic Voices, in Spanish) , which is playing a key role in their regeneration by recognizing and promoting them online. […] restoring and broadcasting, through the application of various research techniques, the traditions and customs of indigenous communities in Mexico, with a humanist and perceptive vision, in order to inform and raise awareness in society around these issues of our national roots. Their website provides a platform for a multitude of legends , tales, stories, fables, myths, epics, poems  and indigenous codices that show part of the worldview of the different ethnic groups who call Mexico home. They say that the Mayan Gods created all things on Earth; every animal, every tree and every stone. But when they had finished, they noticed that there was no one in charge of carrying their wishes and thoughts from one place to another. Since they didn't have any more mud or corn to make another animal, they took a stone of jade and with it they carved out a very small arrow, and when it was ready, they blew on it and the little arrow lifted up in flight. It was no longer a simple arrow, now it had life, the Gods had created the X ts’unu’um (hummingbird). Many of their outreach efforts are through social media, particularly their Facebook  page, where they provide daily fun facts, photographs, downloadable books and digital documents with meaningful information, working with and for the indigenous peoples and communities of the region. Image taken with permission from the Voces Étnicas Facebook page. 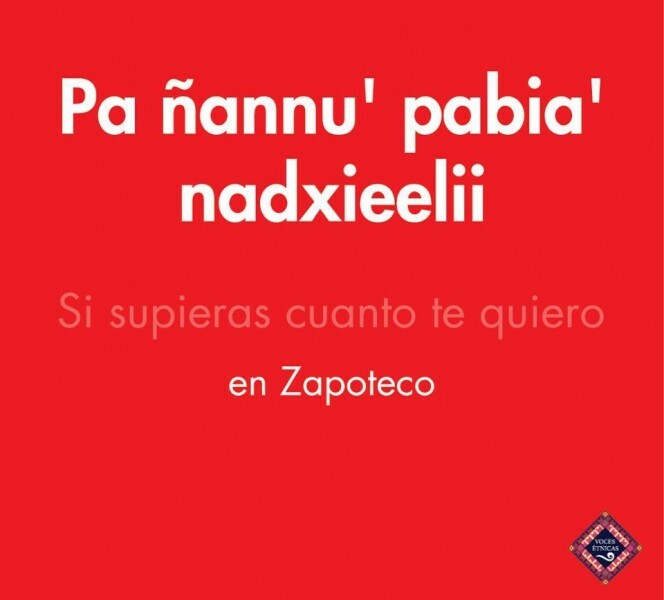 Image reads: “If only you knew how much I love you” first in the Zapotec language, then in Spanish. Far from promoting the stereotypes and other dominant narratives that end up tearing apart the rights of indigenous nations, Voces Étnicas is dedicated precisely to giving a voice to the members of different indigenous communities. It allows them to produce and reproduce information in their own interest, which, upon making it publicly accessible, provides constructive cultural exchanges and benefits that foster emerging “voicers” (voceros in Spanish), as they are called, from indigenous cultures. The platform's significance as a digital medium for restoration and revitalization stems from this idea. Follow their work mainly through their official website  and their profile on Facebook. They are also found on Vimeo , YouTube  and Twitter .